Lena and Ethan have lived through the day that they had been dreading for months, Lena's sixteenth birthday, but not without some sacrifices. With Macon's death, Lena is depressed and lost, and there doesn't seem to be anything that Ethan can do to help her, despite his own experiences with grief. Then Lena begins pulling away and taking risks, and Ethan, still not aware of what really happened to him the night of Lena's birthday, can't understand why. So he digs deeper into Caster lore and his mother's research to look for a way to save Lena and what they have before it's too late. But once you've entered the Caster world, you can never go back, and some secrets Ethan uncovers will put him and everyone he loves in far more danger than he can imagine. 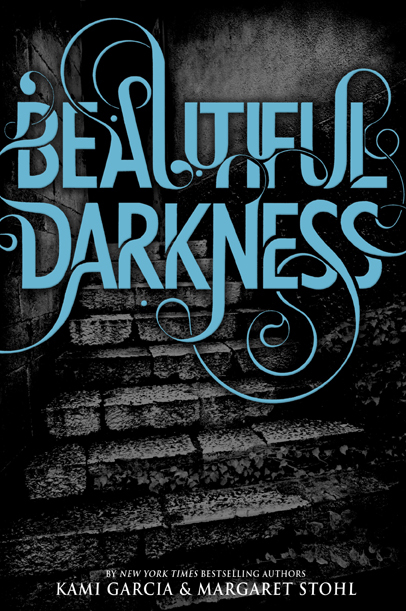 Beautiful Darkness is a very detailed and layered sequel that won't disappoint fans of Beautiful Creatures . Kami Garcia and Margaret Stohl's world is vivid and rich, with an old south backdrop, lore, and traditions--the setting is really what sets their work apart from the endless options in the paranormal genre. 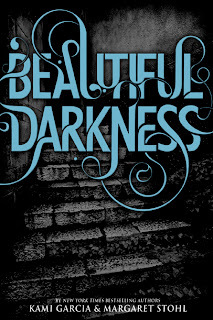 Though it picks up where Beautiful Creatures leaves off, the book covers a good amount of time as Lena and Ethan struggle with conflicting feelings about the night of Lena's birthday, the consequences, and the grief each are experiencing. Ethan's voice is especially strong in this installment, as he has to stand on his own and discovers a whole new world right beneath his own nose. Garcia and Stohl also introduce a few new characters that add new tension between the main characters and open the way to new, surprising secrets about Caster powers and the battle of Light vs. Dark. All the twists, secrets, and surprises culminate in a journey through the Caster tunnels and a suspenseful showdown between family members that will leave some dead, and some very much alive. There might be some confusion as to who is left standing at the end, but one thing is for certain: this story is not over, and readers still have another deliciously thick and dark gothic book to look forward to. Cover Comments: I am in love with the title treatment! So cool! And I like this background--the steps are very relevant as you learn a lot more about the caster tunnels in this book! I felt like this one was way more angsty than the first. Poor Ethan went through the wringer! I enjoyed it tremendously and am interested to see where book three is going to take them.